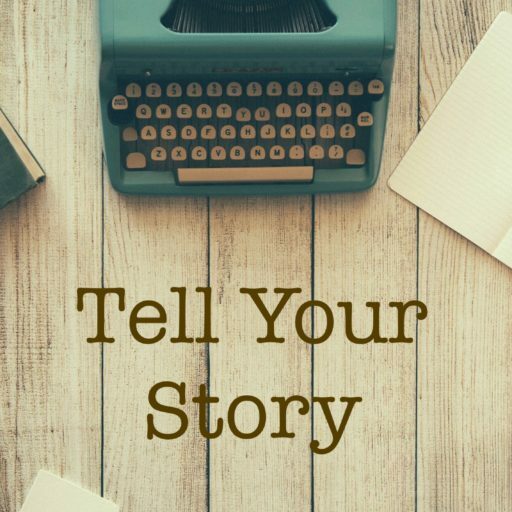 So you’ve written your first book. You know you want to publish it. You are dreaming of big success! But you also know your manuscript needs a little work. Understanding editorial services and what is available to you is your first step in knowing who to hire before getting your book published. Obviously, you want to hire an editor who has worked on books in your genre before. The services you need will depend on where you are in your manuscript and how much editing has already been done, and you will need different types of editing at different points in the process. Let’s start with the basics of book editing and break it down from there. correcting, revising or adapting text. Navigating the many book editing services available can be difficult, especially if you are new to the writing industry, on a budget, self-publishing or requiring a variety of services. In addition, a wealth of misconceptions accompany the seemingly complicated industry of editing, proofreading and publishing. In order to find the right kind of editor it’s imperative that you know what type of services you’re after. Editors complete a variety of tasks for authors, but as a general rule, they help you to polish and clean up your manuscript in order to submit it for publication and sometimes to self publish. Understanding editorial services can feel complicated. But here is a breakdown of all the different kinds of editing services you can use that will clarify some of your concerns and help you to find the right children’s book editor for your book. Definition: Developmental Editing (Content Editing) involves a significant structuring or restructuring of a manuscript’s discourse. Developmental Editors and Content Editors are one and the same and they are your go-to people during the early drafts of your manuscript. You’re a writer, so you likely question your own work: write – rewrite – go back – write again. And still you wonder if what you’re on target with your manuscript. Developmental editors will evaluate your manuscript as a whole and will quickly become your best buddy, offering great advice, constructive criticism and if they’re good, words of encouragement. Don’t skimp here! This person is trained to ensure your plot is fluid, your characters are popping from the page, and your story flows. Plus, your developmental editor will enhance your narrative voice and tone while keeping true to the delivery of your syntax. Look for someone who is willing to offer a fluid working relationship and who will communicate openly on major changes. Interview this person ahead of time. Get a feel for who they are and what they do to ensure they are the right fit. Out of all the editors you may hire – you will spend the most time working with your developmental editor. Although these editors by nature do check for grammar and spelling mistakes, remember, that’s not why you hired them! Your developmental editor will likely be able to give you some advice on industry and genre standards, can help with writing if needed, and provide you with creative insight and clear solutions for problems or holes in your manuscript. Definition: Copy Editing involves the improvement of the formatting, style and accuracy of a text, including grammar and punctuation. Often confused with proofreading, Copy Editing is rather a revision process like developmental editing, and not a correction process like proofreading. Copy Editing is an important step to bridge the work of your developmental editor and prepare you for hiring your proofreader. A Copy Editor will check your manuscript making sure the syntax is smooth and the writing adheres to the conventions of grammar. They’ll also make sure that your wording is proper and precise and punctuation is appropriate and correctly placed. The copy editor is important for evaluating industry and genre standards as well and will make sure that your intentions for your book are being conveyed correctly. These are the people to hire before you submit your manuscript to a publisher or agent. They will bring your rough manuscript to a professional level. In addition your Copy Editor will globally check your headings and chapter sections making sure the wording is correct and the formatting is fluid throughout, and they will just check overall to make sure that your content as a whole is consistent. Definition: Proofreading is a galley proof or electronic copy of a manuscript in order to detect and correct production errors of the text. This is the last step before publication. A proofreader is the nit-picky, detail oriented, ‘fan of the red-pen’ person whose job it is to make sure your manuscript is error free. Often proofreading is too much for not only you as the author to undertake, but also too much for your developmental and/or copy editor. You can have the same person do your copy and developmental editing – but hire a new proofreader. Both you and your editor will know your manuscript inside and out. This means errors such as simple grammar, formatting and spelling mistakes can easily be overlooked! Proofreading is particularly important for authors wishing to self publish. That’s why hiring a separate proofreader to sweep your manuscript immediately before you self publish, is key. Don’t hire your proofreader until you are completely satisfied with your content. You don’t want to make any major changes once your proofreader gets your manuscript – their proofreading services will take your manuscript to completion. In addition, for this reason, authors who self publish often have more than one separate proofreader review their manuscript. Your proofreader will likely offer you very straightforward services. Often proofreaders can help with formatting for publication as well. But if you are self publishing, consider hiring a Layout Designer to get your book into print. Expect to have a thorough job and completed manuscript, one that is ready for print, when your proofreader is finished. The type of editor you need depends on where you are in your project. Don’t skimp; rather pay for the right services. Remember, you are working on ‘your baby’, something near and dear to your heart. Hire someone who will treat your book with care and respect. When you are interviewing for the right kind of book editing services, don’t be afraid to ask for proof of experience, a Skype or phone call, or an interview as part of the process. In addition, many editors have no problem looking your first few pages to ensure they are the right fit. This goes both ways! Editors want a good read and writers want a good editor. If they are willing to take the time, you should be too. Editors can also offer a wealth of other services such as book coaching, advice for formatting or publishing options, query and synopsis development, and even ghostwriting services. Make sure you talk to your potential editors about all your needs and learn about all they can offer. package. Be wary of editors who claim they can do it all! You absolutely do not want the same person who helped you with your developmental editing to do your proofreading. Editors should be specialized. With a rising need to find editing services on the cheap, people who self publish are finding they put out shoddy work only to have to republish their books after receiving bad reviews on Amazon or B&N. If you are self-publishing you won’t have a publishing house to back you up or pay for your mistakes. You’ll have to put in the time and money up front to have a solid (and sellable) book at the end of the day. Just a tidbit of cool information: When you sign with a publishing house you and your book will go through, at minimum, 20 sets of revisions and rounds of edits before a final proof. So, as you are getting ready to hire your editor(s), keep this in mind. It pays to pay for quality work. Give your book the time it deserves. If you are interested in chatting with me about your project, please feel free to Contact Me for additional information. And Happy Writing to You!